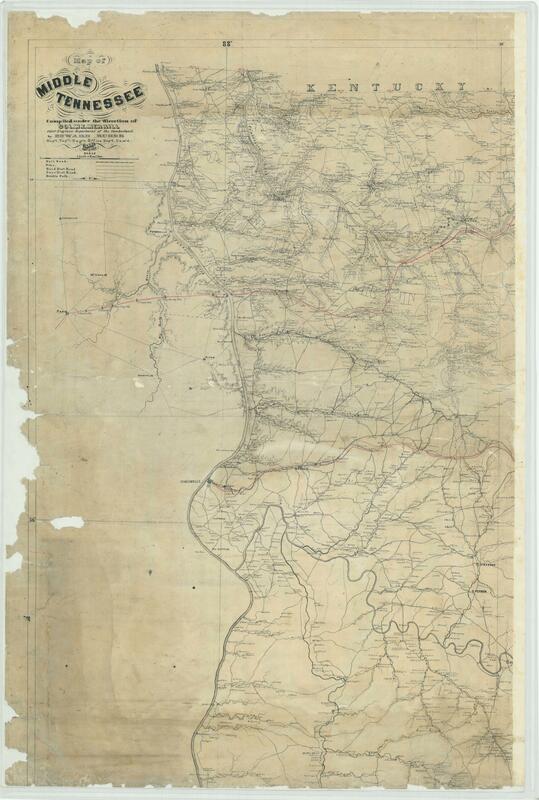 These maps are 2 of the 5 sheets of the 1865 Army Corps of Engineers map that the National Archives calls Record Group 77, Records of the Office of Chief of Engineers, Headquarters Map File, T 84 ½ - 1, sheets 1 & 2. The original is at the National Archives 2 facility in College Park, MD. The map covers much of middle Tennessee, except for the southern tier of counties. 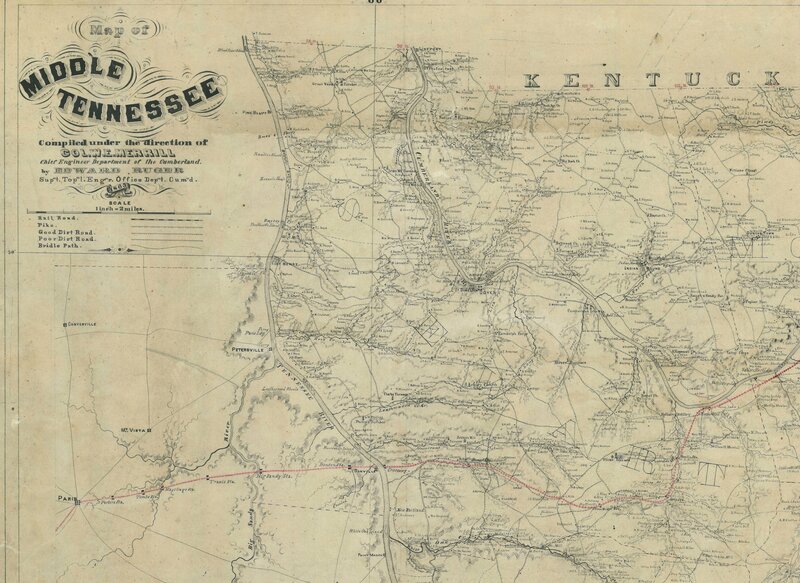 It covers from the Tennessee River in the west to Cookeville in the east, showing towns, roads, railroads, landmarks and landowners. Details are better the farther north and west you go on the map. Linked below are Sheets 1 & 2 of the map, covering the western half of the map. Note to AOL Users:The map files below are too large to open in your AOL browser. Minimize your AOL window and open an Internet Explorer window, then come back to this site and open the files. 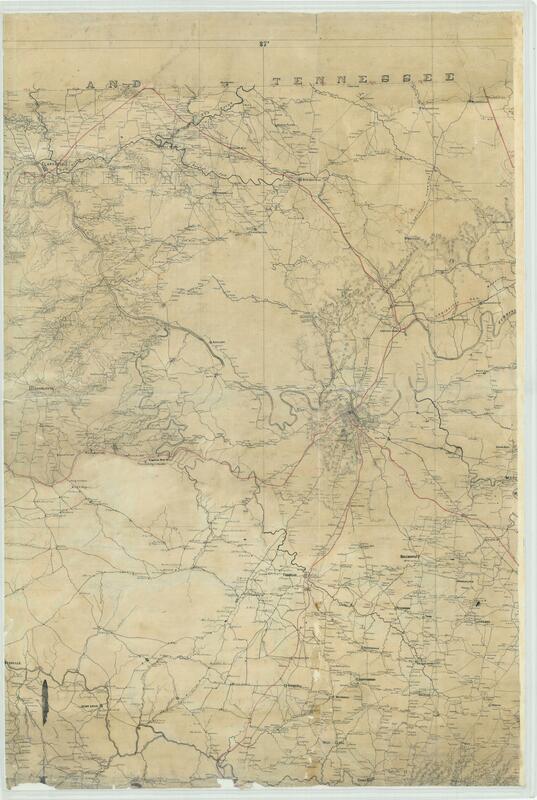 Sheet #1: bounded on the west by the Tennessee River, north by the Kentucky line, south almost to Linden, east almost to Clarksville (incl. Ringgold) and including Centerville. Includes the legend for the entire map.